Partnerships with research organisations such as the Centre for Ecology and Hydrology (CEH) and companies like Van Walt are helping us establish automatic environmental monitoring stations at key sites across the catchment. 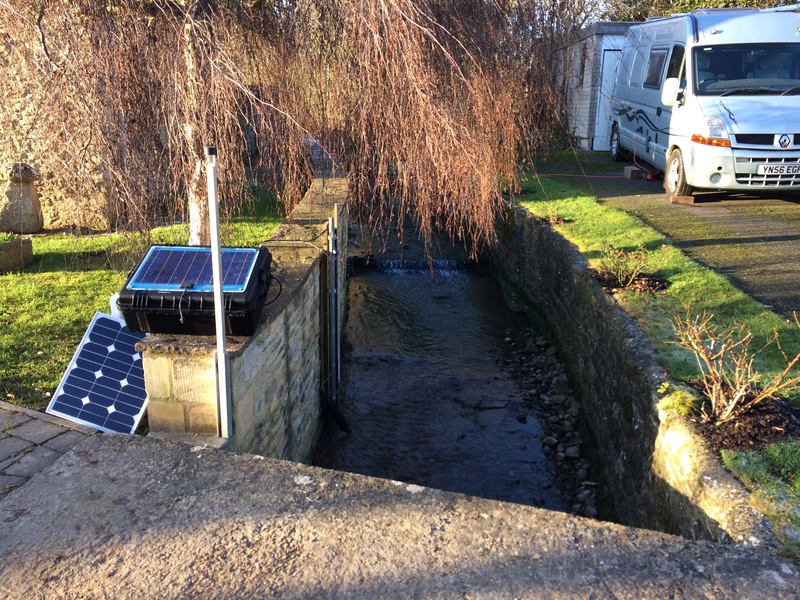 These sites are complemented by a network of citizen scientists (the Wychwood Water Watchers) who collect data on a monthly basis as part of our catchment labs project, on variables such as sediment, river-flow, riverfly, phosphate and nitrate levels. Pollution Monitoring: The Evenlode and many of its tributary streams fail to reach good ecological status under The Water Framework Directive due to poor water quality, in particular levels of phosphate. Visit the EA Data Explorer / Reasons for not achieving good for more detailed information on pollution sources. Recent estimates apportion the origin of some 80% of river borne phosphate to sewage treatment works (point sources) and 20% to agricultural land use (diffuse sources). The ECP is working with Wild Oxfordshire and Earthwatch to monitor phosphate twice a year under the Waterblitz and more regularly under the Wychwood Water Watchers initiatives. In addition, we are working with Thames Water and the Environment Agency to monitor and improve effluent quality from sewage treatment works in the catchment. Data of samples taken from these works are published on a new EA Water Quality Archive which can be searched for records of different sources of pollution, including sewage discharges by water company. In a further initiative, ECP are partnering Thames Water in an agricultural phosphate reduction project in key sub-catchment of the Evenlode. Farmers are visited by a specialist advisor with a view to recommending practices to control the input of phosphate into watercourses running through their land. Thames Water then offer incentives for the recommended actions to be implemented. Visit our Communities pages to see what actions individuals can take to help prevent pollution. In February 2014 the Planet Earth podcast by Richard Hollingham came from Wallingford, with Paul Whitehead of the University of Oxford and Mark Barnett of the Environment Agency who explain why the UK’s River Thames will fail to meet new pollution standards unless farmers and water companies take radical action. This is still relevant today.